For ceiling applications, the curved-blade design provides optimum ceiling effect. 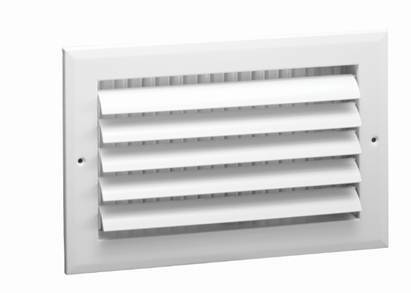 Multi-louver damper provides dual airflow control, curved-blade face adjustment, and damper adjustment. Stamped face margins eliminate mitered corners and rough edges. Aluminum face with painted steel damper.